Some time ago, I posted about how to plot frequencies using ggplot2. One point that remained untouched was how to sort the order of the bars. Let’s look at that issue here. First, let’s load some data. 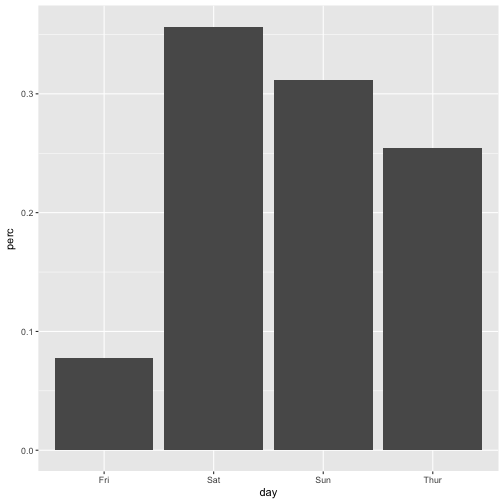 First, let’s plot a standard plot, with bars unsorted. Hang on, what could ‘unsorted’ possibly mean? 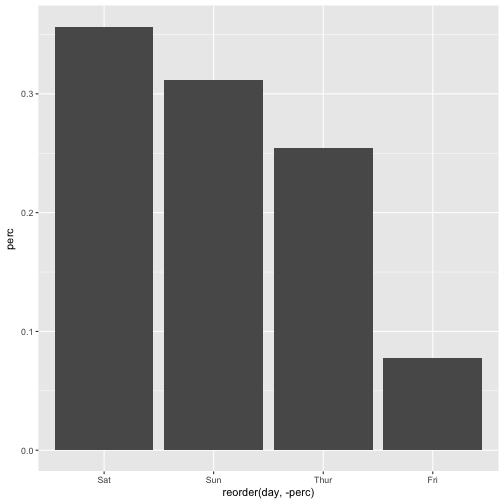 There must be some rule, by which ggplot2 determines order. Often, we do not want just some ordering, we want to order by frequency, the most frequent bar coming first. This can be achieved in this way. Note the minus sign -, leaving it out will change the ordering (from low to high).